Spc. 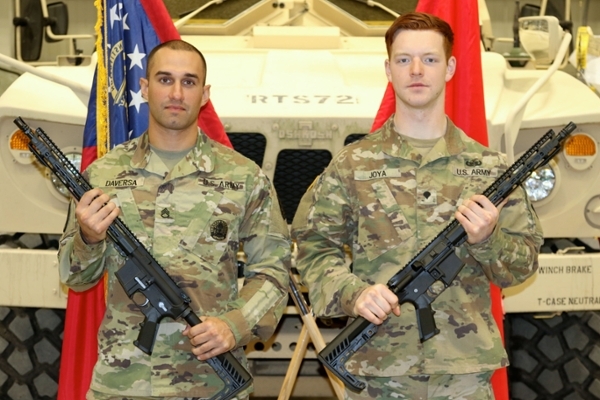 Alexei Joya, right, a member of the Georgia National Guard who also is in the UNG Corps of Cadets, won the Georgia Army National Guard Best Warrior Competition in March. Spc. Alexei Joya, a member of the Georgia National Guard who also is in the UNG Corps of Cadets, won the Georgia Army National Guard Best Warrior Competition in March. Joya is a sophomore from Gainesville, Georgia, majoring in general studies with concentrations in biochemistry, Russian and leadership. 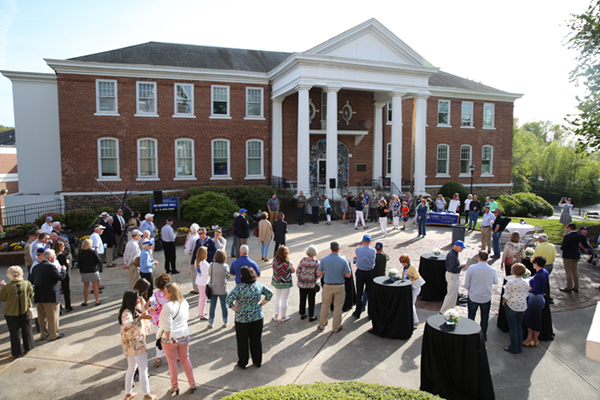 He also is a member of UNG's Ranger Challenge team. Joya is an explosive ordnance disposal technician representing the Marietta-based 201st Regional Support Group. 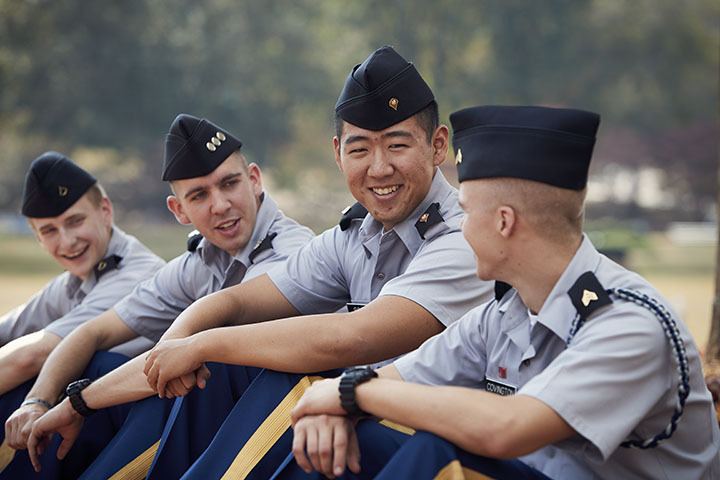 "My training as a cadet has extremely benefited my performance in the National Guard's Soldier of the Year Competition. Being exposed to more training than a traditional drilling Guard member has definitely been a factor that has lead me to my victories – specifically training I have received from being a part of the UNG Ranger Challenge team," Joya said. 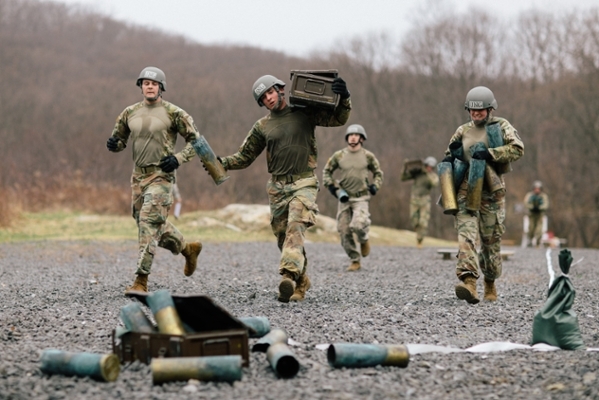 "The Ranger Challenge team is a small elite team of hand-picked cadets from the Corps and is considered the most physically fit as well as tactically and technically proficient in Army tasks." In the Best Warrior Competition, Joya took first place in combat water survival test; 12 mile/70-pound ruck march; army physical fitness test; individual movement technique course; weapons familiarization; and day and night land navigation. He also was second in the obstacle course and qualified at expert level on the M4 rifle and M9 pistol. 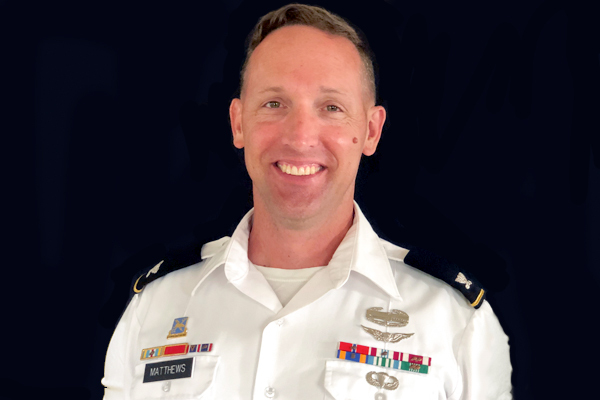 Georgia Army National Guard Capt. Elijah Carroll, a UNG alumnus who is assistant professor of military science at UNG, agreed that Joya's training experiences with the Ranger Challenge team prepared him for the National Guard competition. "Spc. Joya was tested mentally on his abilities to conduct Army Basic Warrior tasks while under pressure and fatigued," Carroll said. "The training provided by Ranger Challenge additionally prepared him physically with strength and endurance training needed to excel in the Combat Water Survival Test, 12-mile ruck march, and Army Physical Fitness Test. All of this combined gave Spc. Joya superior resilience that allowed him to surpass all the other competitors at the Best Warrior Competition." The statewide competition, which featured 12 competitors representing each of Georgia's major subordinate commands, took place at Fort Stewart, Georgia, from March 5-10. He'll now compete in the Regional Competition April 23-29 in Tullahoma, Tennessee.